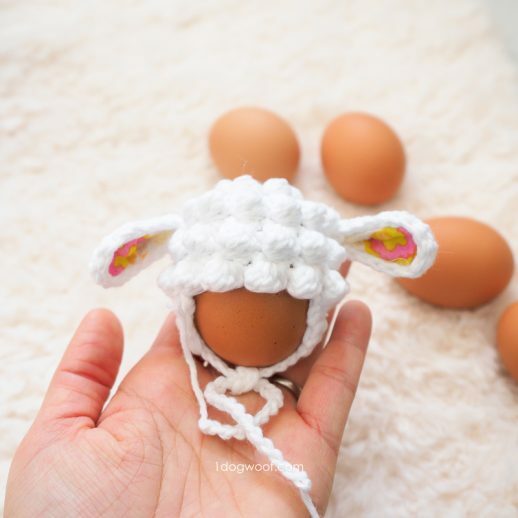 If you’ve ever wondered what it feels like to crochet with raffia, if you’ve wondered if it will hurt your hands, or if you can make it bend to your will, then keep reading to hear about my own experiences crocheting with this fun paper medium! 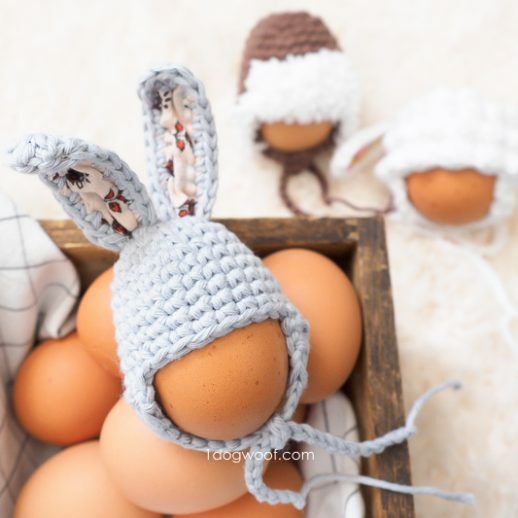 When I get the chance to crochet with a different material, I always have to take a moment to wonder at how fiber artists (us!) can turn yarn and string into fabric or home decor art. 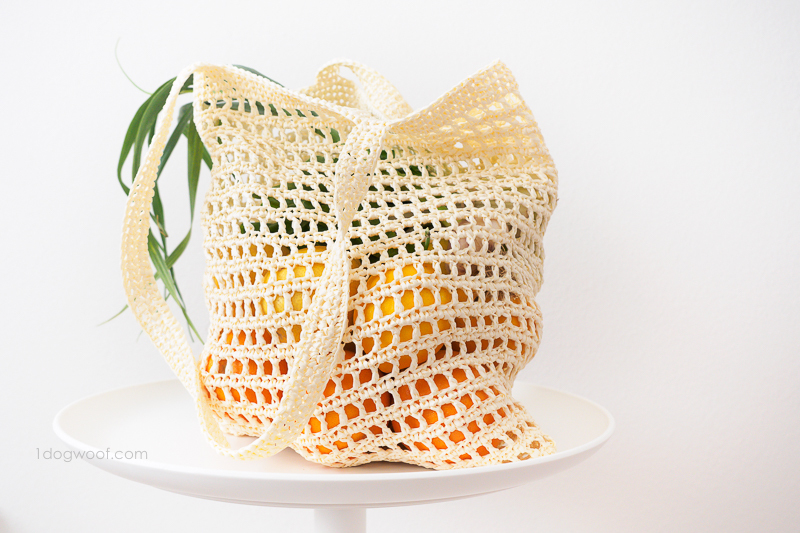 Because I was working with a golden white raffia, which crinkled and rustled as I crocheted, I kept thinking I was the princess in Rumplestiltskin, turning straw into gold, or in this case, turning paper into a sleek and simple market bag. I love trying out new fibers, to feel it through my hands and see how basic stitches manifest themselves in that particular medium. A single crochet stitch in raffia doesn’t look the same as a single crochet done in, say, mohair. Besides, it’s an excuse to have a larger than necessary yarn stash if the yarns are all different materials! I was sent some skeins of Ra-Ra Raffia and the Paper Gangsta Bag Crochet Kit from Wool and the Gang US , and all opinions and thoughts below are 100% my own. 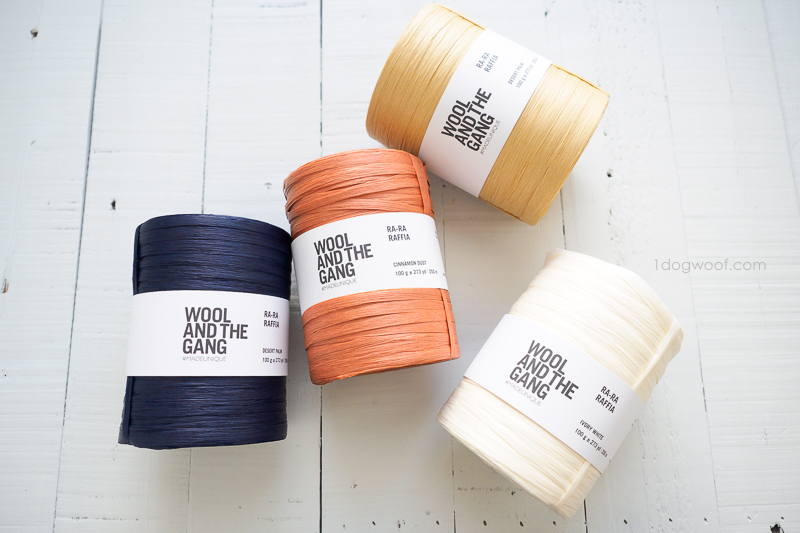 In this post, I want to try to answer some questions that I think people may have about working with raffia, as it’s a new product from Wool and the Gang US and is not a material that you can find everywhere. We’re used to working with acrylic, wool and fabric tape, but what changes when we move into crinkled paper? 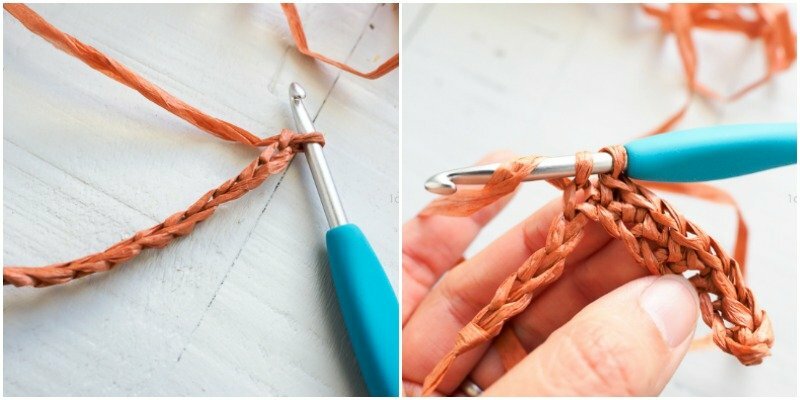 Is crocheting with raffia hard on your hands? I think this is probably the first question that comes to mind when I think of raffia. It looks like straw, and feels like straw, so does working with it feel like you’re baling hay? … No, this raffia is actually softer than I expected. I’ve tried working with butcher’s twine before, and that was much harder on my hands than this. Even though the raffia is stiff, the lightness of it helps it flow through your hands. The Paper Gangsta Bag is worked from the bottom up, and as the bag grew in size, it chafed a bit against the underside of my arm. Crocheting is very repetitive and the constant rubbing started to get annoying, so I would cover the bag with a tea towel to keep going! 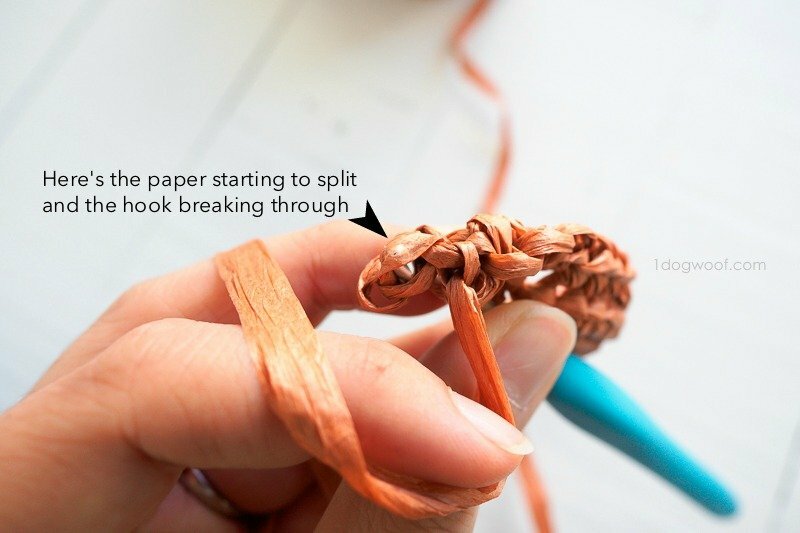 Is raffia hard to bend and twist when crocheting? 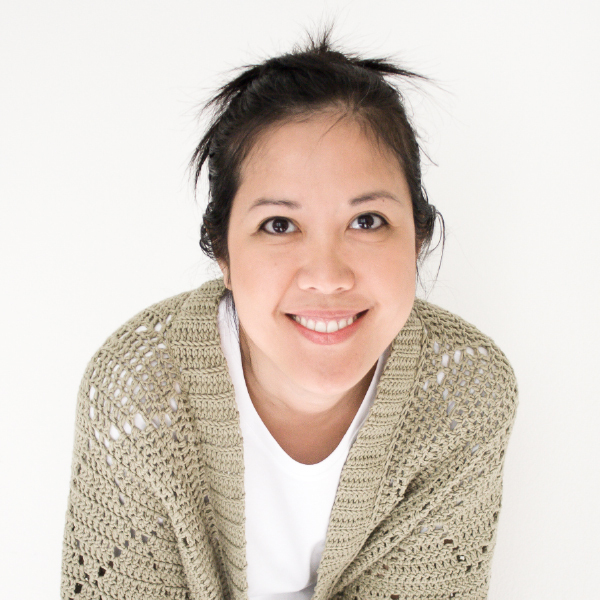 Crochet and knit, by definition, is the creation of loops out of ‘yarn’ to create fabric. You may expect raffia, being paper, to be less flexible to be twisted in every which way. It’s true that raffia doesn’t give and bend as easily, but it’s still easy to manipulate. 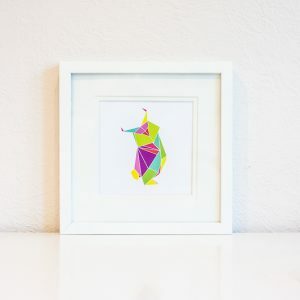 The angles and sharp turns of the paper give it that unique, ‘rough’ look. You do have to be more careful about the size of the loops you’re creating for your gauge since the loops can’t adjust very easily once they’re made. I find that the texture of the raffia hides any imperfections in the gauge though, so it all works out in the end! This raffia is incredibly lightweight. One of the first things I noticed when I pulled the skeins out of the bag was how the skein felt like air! The entire bag crocheted up using 1.5 skeins of Ra-Ra Raffia, and it feels like I’m not carrying anything at all. 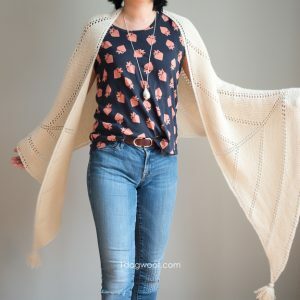 Is the crocheted bag rough to the touch? My market bag is slightly rough to the touch. Just like when you work with it, it doesn’t hurt your hands at all, it’s similar to a sisal rug and more rough than a nice straw hat. I haven’t had it snag on anything, but I probably wouldn’t carry it while wearing a delicate sweater though. 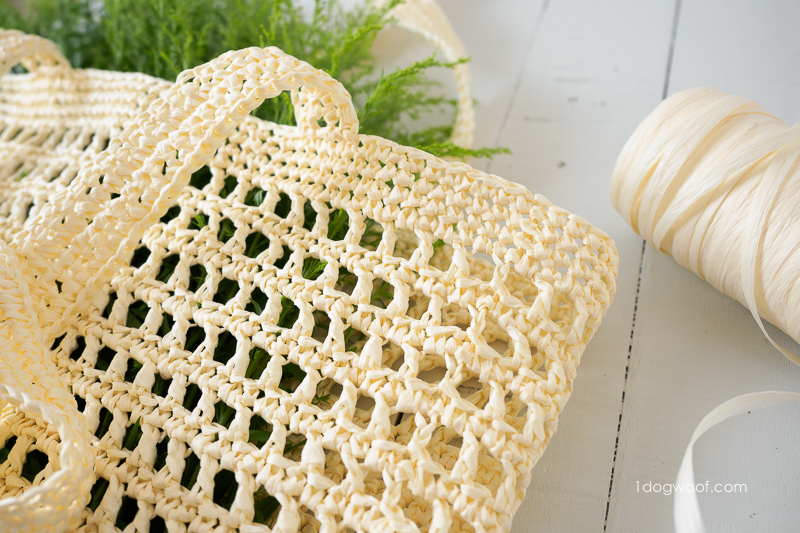 Is the raffia yarn, and the corresponding finished market bag, sturdy? I tried tying two skeins of yarn together using my invisible knot method, which requires quite a bit of pulling on the yarn to tighten, and I did break the raffia. I ended up tying the skeins together using a square knot and letting the friction of the paper lock the knot. Otherwise, I found the raffia to be sturdy while working with it. It didn’t split easily, and I definitely had to pull REALLY hard to get it to break like it did. The crocheted bag, with its web of loops and knots all tied together, is stretchy and strong. I took it to the farmer’s market and loaded it up with around 20 navel oranges and assorted lemons and limes (I’m excited to try all these different citrus!). The bag stretched downwards, but had no problem carrying all that weight! 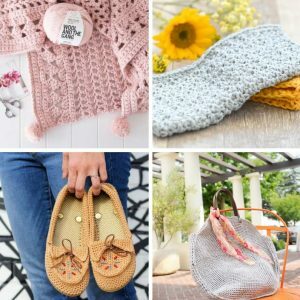 I hope this helps answer some of the questions about raffia that you’ve always wanted to ask, and makes you excited to try crocheting with raffia for yourself! Wow! I have never heard of crocheting with raffia 😮 Thank you for sharing!! The bag is very beautiful! The raffia doesn’t last long. It will wear quickly especially with can goods or heavy items like books. My daughters lasted about 3 weeks of constant use. The bottom gave out easily and stretched the sides to the fraying point. Make sure the raffia is strong enough. Mine may not have been.